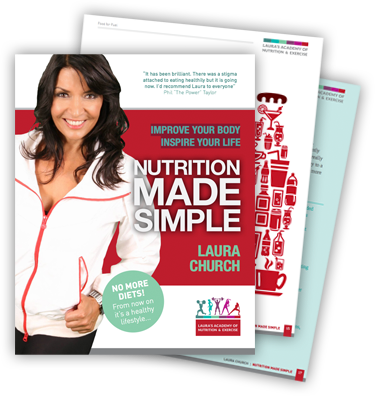 Let Laura Church’s ‘Nutrition Made Simple’ help you to achieve your weight loss goals through healthy eating and an understanding of your body and food. Over the years Laura’s knowledge and expertise has helped many people from all walks of life, people seeking help with medical conditions right through to top sports professionals. Take the first step on the journey to a fitter, healthier, happier lifestyle. Follow these tips alongside regular exercise and you will be surprised at the difference it can make!